We examine your existing business processes, organization and operational tools. You let us in. We do the work. We propose a new modern Hotel Management System together with revised business processes designed to improve your RevPAR index and lower your operational costs. We train your people and provide you with the support you need to drive your hotel performance up to a new level. A service based solution with no CAPITAL INVESTMENT. 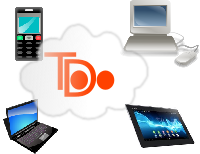 No need for powerful computers yet you will have access to a powerful Hotel business system. We carry out a FREE initial assessment and provide you with a FREE report outlining how to radically improve your bottom line. Our system delivers a high degree of automation to make your life easier and lower your operational costs. Our system automatically manages room allocations and protects you from double bookings. Your staff can still override allocations giving you total control on room preferences and upgrades. Simple and powerful reports to help you manage your hotel business. Actual and forecast RevPar, occupancy and revenue performance reports. With a powerfull reservation engine and generating customer loyalty though improved marketing and high customer satisfaction. 100% cloud based that can be accessed through multiple platforms for maximum flexibility.